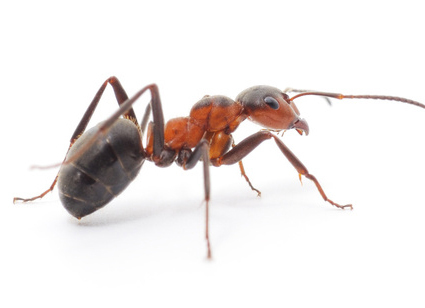 Ants prefer humid or warm environments making them more of a problem in the spring, summer, and fall months. Their nests are usually outdoors, but will invade when looking for food within your home. Many places ants can be found inside the home are moist areas, near food sources, under appliances, wall voids, window frames, and beneath. The many different kinds of ants require different extermination. Carpenter ants in particular can cause damage to home structure by nesting inside of wood, while other ant’s damage may include contaminating food within the home.